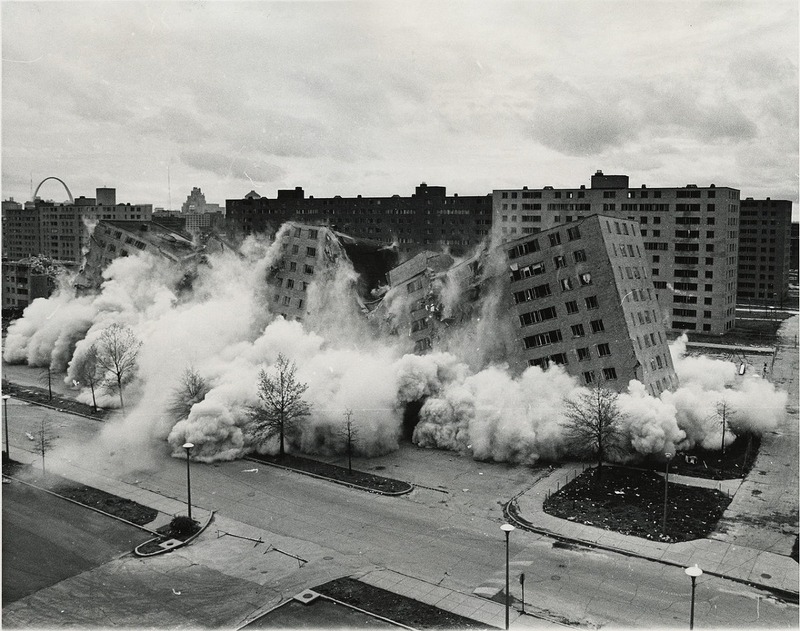 Demolished in the 1970s, less than two decades after it was built, St. Louis’s Pruitt-Igoe public-housing complex became a symbol of poverty, segregation, and urban-planning failure. “Many of us are here because we want to bear witness,” said Diane Davis Wednesday night in Gund Hall’s auditorium, leading off a three-day Harvard Graduate School of Design (GSD) conference exploring issues of racial justice in St. Louis. Bringing together planners, politicians, activists, and scholars, “Voices & Visions of St. Louis: Past, Present, Future” continues a national conversation that began in August 2014 in nearby Ferguson, where protests erupted in the streets after the killing of unarmed teenager Michael Brown. In the keynote lecture and panel that followed her remarks, Joseph Heathcott, an urban-studies professor at New York’s New School, and a Midwesterner who spent a dozen years working and teaching in St. Louis, described the roots of racial tension in what he called “this weird, borderland city.” He traced the area’s history from the Civil War through World War II and the years just beyond, a period when race became a central factor in St. Louis’s politics and planning. “In the decades following the Civil War, white racial hostility towards black people was a constant feature of life in St. Louis,” Heathcott said. But Jim Crow didn’t emerge on its own. “It was carefully constructed by white politicians, real-estate networks, neighborhood groups, and business associations over the course of five decades.” Segregation deepened throughout the early 1900s, so that by World War II, the separation between whites and blacks was nearly absolute. The conference, a partnership between the GSD and the Divided City Initiative at Washington University in St. Louis, continued on Thursday with panel discussions that delved deeper into the city’s social and racial history, the geographic conditions and land-use decisions that affected it, the role of design in the city’s character, and the policies of exclusion in the urban environment. On Wednesday night, GSD dean Mohsen Mostafavi noted that the conference follows a year and a half of discussion and events grappling with design and social equality: “The conversation has really affected our work in the school, our pedagogy, our project.” This conference, he said, is intended to launch years more of multidisciplinary discussion on injustice, inequality, race, and exclusion.